R7 Top-Third pivot opening Pine Roof Windows give more headroom than standard centre-pivot Roof Windows. A top-hung double-glazed softwood timber roof window, with an exterior cladding of anthracite-metallic polyester-coated aluminium. These can be fitted easily and quickly into roof slopes of 15 to 65 degrees, using special polyester coated aluminium flashings for tile or slate roofs. Sizes 7/9, 7/11 and 7/14 can be used as Means of Escape windows, MOE. (A minimum opening of 0.33 square metres is required for a roof-window to be used as a fire escape). - 7/9 to 7/14 can be used as Means of Escape, MOE. 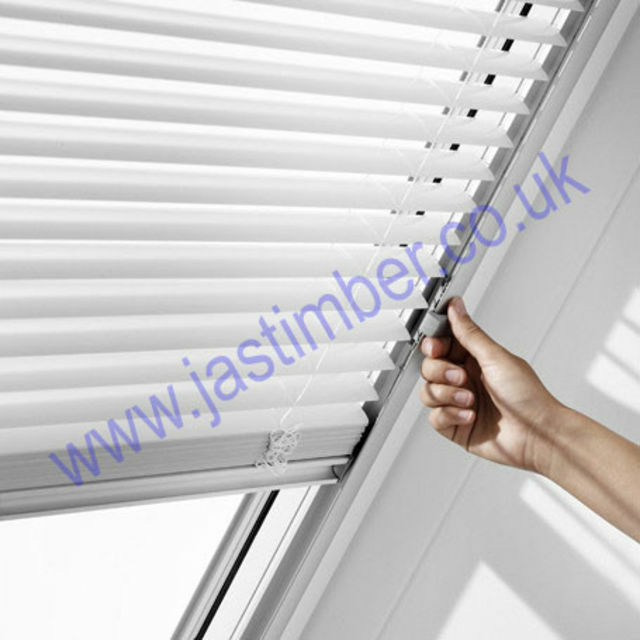 We also supply a range of internal sun-screens, blackout blinds, pleated blinds and venetian blinds. 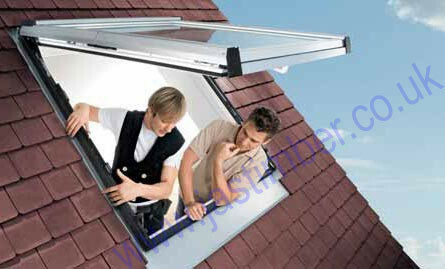 Always check with your Architect or Building Inspector before fitting roof windows. Far easier to fit than Velux Roof Windows - only 12 fitting screws required (24 for Velux) as the roof-brackets have already been attached to the frame. Haulier Delivery of Glazed R8 Rooflights by pallet delivery is safer.